Olympus Power endeavors to strategically optimize the value of its assets by providing Asset Management and Operations & Maintenance services. In aligning Asset Management services with Operations & Maintenance services, Olympus gains greater insight and control over the financial, technical and managerial levers necessary to enhance the performance of its projects. Olympus’ upstream equity partners, its lenders, and other significant stakeholders clearly benefit from Olympus’ close scrutiny and “hands on” management of its projects. The depth of experience and quality of Olympus Power’s Asset Management and Operations & Maintenance teams ensures that Olympus will adhere to its core principles of maximizing technical performance and financial return without forsaking safety or reliability. • Operations consistent with the performance criteria set forth in the energy supply agreements and the manufacturer's specifications. 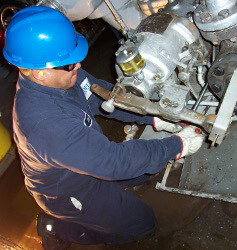 • Routine maintenance including lubrication, calibrations, adjustments etc.